Recently, I’ve been running in the newest update of the Saucony Ride. Instead of calling it is the Saucony Ride 11, it’s now called the Saucony ISO. Saucony is moving towards using their ISO upper for all of their shoes, so my guess is we will begin to see this for many of their shoes. One of my favorite shoes to write about the Ride is the ride. Just because I can say that. The newest version of the Ride is a well-cushioned shoe and a good option for speed work, long runs, and causal runs. Like the Brooks Ghost, it’s a good shoe for pretty much everything. The shoe itself is light but springy. The shoe feels soft but springy. It consists of two layers: the thinner Everun and PWRFOAM on the bottom, which absorbs the shock of running. Thinking out loud, it doesn’t feel as soft as a Hoka shoe but is soft. The fit is definitely the most significant and prominent changes to the Ride. 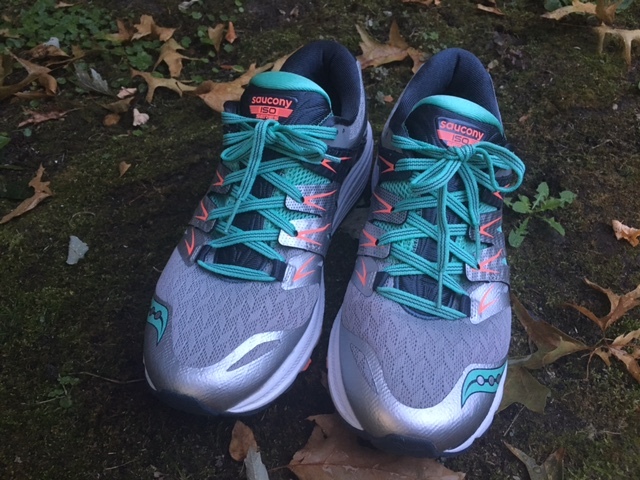 Like the Saucony Triumph and Saucony Freedom, the Ride now includes the IsoFit upper system. Saucony has made some critical changes to upper and midsole which make the shoe feel slightly different. The Ride ISO is more true to size and wider than Ride 10. I typically wear between a 10-11 wide in running shoes and was comfortably in a 10.5. A series of individual “fingers” that wrap around the top of a foot and allow the lacing system to create a near-custom fit. The IsoFit makes the Ride have the ability to fit more foot types. If you have a wider foot, higher instep, or bunions, then it could be a better option than previous models. I like the Saucony Ride ISO. To me, it feels extremely similar to the Saucony Triumph ISO 4. As I’ve told our rep, I feel as though the Ride has taken over the Triumph. The Ride feels too similar to the Triumph for $40 cheaper. I’ve put about 100 miles on the Ride ISO, and I’ll wear through this shoe. If you’ve run in both, I would love to hear your opinions about them. What is your favorite running shoe? Have you changed recently? Over the past few years, the Saucony Triumph ISO has become one of the staple shoes from Saucony. The Triumph is a neutral, high cushioned shoe with an 8 mm drop. It’s great for training, racing, roads or trails. It’s not heavy or clunky but maximizes on cushion. It’s a shoe you can run pretty much anywhere! Over the past few years I’ve run in both the Saucony Triumph ISO and Saucony Triumph ISO 2. As well as the Zealot 1 and Zealot 2 and most recently the Freedom. There aren’t many Saucony shoes I haven’t run in right now! My personal favorite are the original Saucony Triumph as well as the Freedom but none of the models are shoes I wouldn’t run in again. In most Saucony shoes, I wear between a size 10-10.5 and wide. In the Triumph, ISO 3, I wear a size 10 wide and it fits well. Like the previous few models, the Saucony Triumph uses the ISO fit. The tongue is attached and it’s seamless so it doesn’t rub. It has a small update which holds the foot more in place than previous models. A common complaint with the shoe is the “back is lower” and people are afraid their heel might slide out. Even though the back is lower, your foot remains secure in place throughout the ride. I’ve never had a slipping issue and I’ve run through multiple mud puddles. The upper of the Saucony Triumph ISO 3 is what had major updates. A lot of excess material was removed making the overlay less bulky. While the update isn’t life changing, it’s a small appreciated fit update. 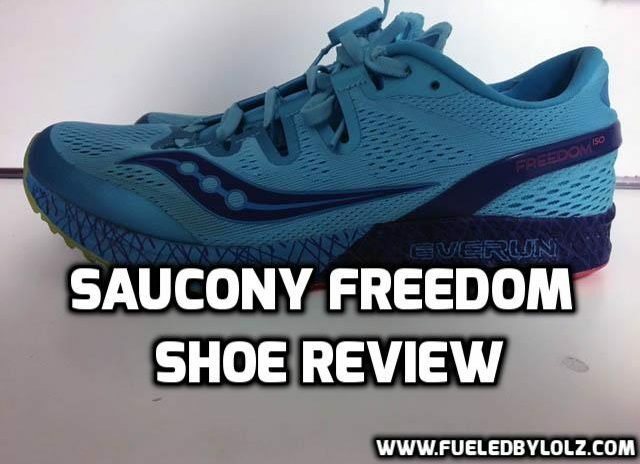 The Saucony Triumph continues to use Everrun cushioning. Everrun cushioning is becoming the standard material for Saucony. Evverun is more durable than EVA foam and doesn’t stiffen up in the cold. 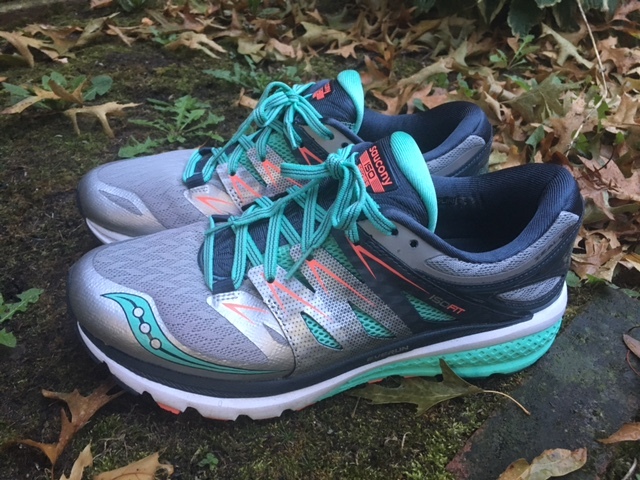 According to Saucony, the everrun material also gives an increased energy return. What does this supposedly mean? You feel better when you run outside in the cold weather, plus the shoe lasts longer. This year, I haven’t personally spent time in a climate that would benefit from this but I’ve heard many people at work and online say it’s true. I like the Saucony Triumph ISO 3. It’s a great trainer and you are able to run long runs or race. Is it my favorite shoe? I personally like the Saucony Freedom better but I do like running in the Triumph as well. *Due to not racing or doing speed workouts, I just alternate between the four. Question for you: What is your favorite running shoe?